Designed to exacting standards, MIYABI® continues to strive for perfection with the new MIYABI® 5000FCD Kaizen Collection. "Kaizen" Japanese for "improvement" or "change for the better" is a way of life. 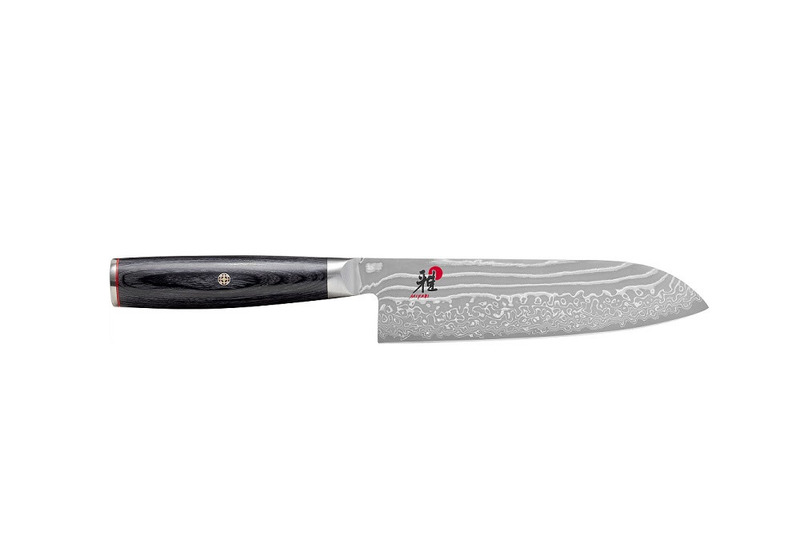 This series combines the latest technology with sleek, modern lines and centuries of knife-making artistry. Forged 49 layer construction with an FC61 super steel core protected by 48 alternating layers of stainless steel ground to expose a unique Damascus design and wavy katana edge. The new ergonomically shaped black Pakka wood handle features a striking mosaic pin, red decorative ring and end-cap with logo. Handcrafted in Seki, Japan.